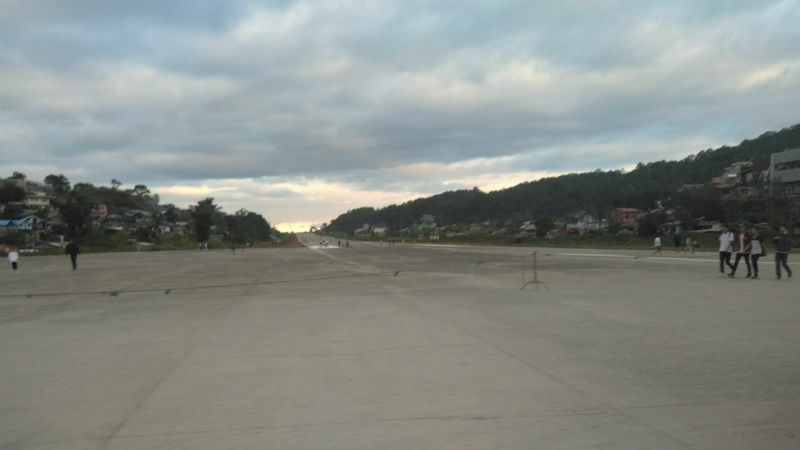 BONTOC, Mountain Province – The Cordillera office of the National Economic Development Authority (NEDA-CAR) is now in possession of an aeronautic study conducted by the Civil Aviation Authority of the Philippines (CAAP) showing the feasibility of the possible opening of the Baguio-based Loakan airport for commercial operation to help improve the accessibility to other potential tourist destinations in the region. NEDA-CAR regional director Milagros A. Rimando reported to the first quarter meeting of the Regional Development Council (RDC) and Regional Peace and Order Council (RPOC) that the CAAP aeronautic study of the Loakan airport showed that the local air facility is conducive for commercial operation but there is a need to address the identified obstacles in the area. “We were informed that CAAP is currently preparing the obstacle plan of the Loakan airport to serve as a reference in dealing with the previously identified obstacles in the vicinity of the airport that were pinpointed as major hindrances to its full commercial operations,” Rimando stressed. The NEDA-CAR official revealed one of the airline companies providing domestic flights to other destinations in the country already secured a copy of the aeronautic plan to serve as the company’s basis in ascertaining the feasibility of providing for domestic flights to Baguio City. Further, Baguio-based businessmen are also making the arrangements with other airline companies interested to service the Manila-Baguio-Manila route to bring back the vibrancy of the commercial operation of the Loakan airport. Since 2012, the RDC-CAR continuously advocated for the modernization of the Loakan airport after it was closed to commercial operation a few years earlier for the same to be operational even during bad weather condition because of the supposed presence of sufficient Instrument Landing System (ILS). In 2017, the RDC-CAR requested the CAAP to complete the required aeronautical survey of the Loakan airport through RDC-CAR Resolution No. 6, series of 2017. According to Rimando, the CAAP turned over to the NEDA-CAR the results of the aeronautic survey last February 17, 2019 and a meeting with Transportation Secretary Arthur Tugade was suggested by NEDA Secretary Ernesto Pernia to iron out the technical issues raised in the study. Moreover, the public works department is working out the funding of the by-pass road that will serve as access road for the villagers who will be affected by the permanent closure of the runway to allow the smooth operation of the Loakan airport. At present, the Loakan airport remains open to chartered and military flights while awaiting the possible resumption of its commercial operations once plans shall have been put in place by concerned government agencies to cater to the requirements of high-end visitors.